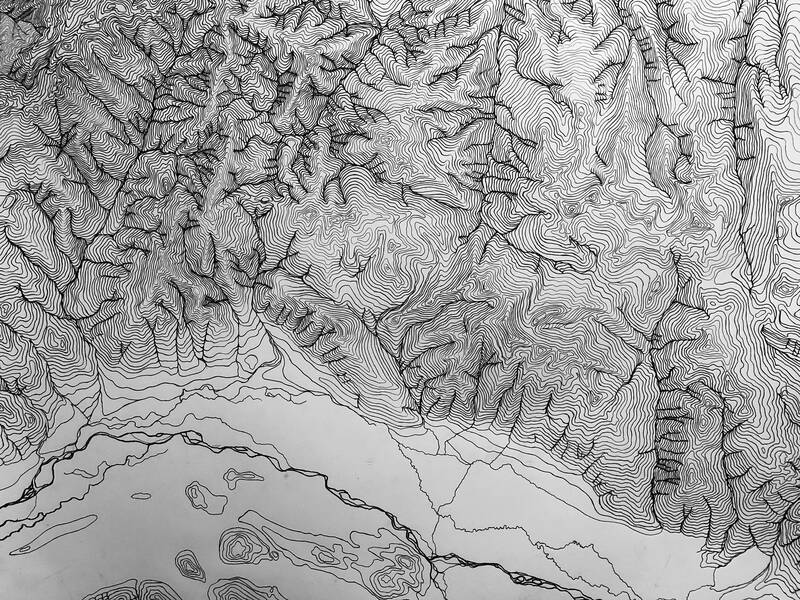 Topographical Map of the Grand Tetons. Triptych 24x36 inches. 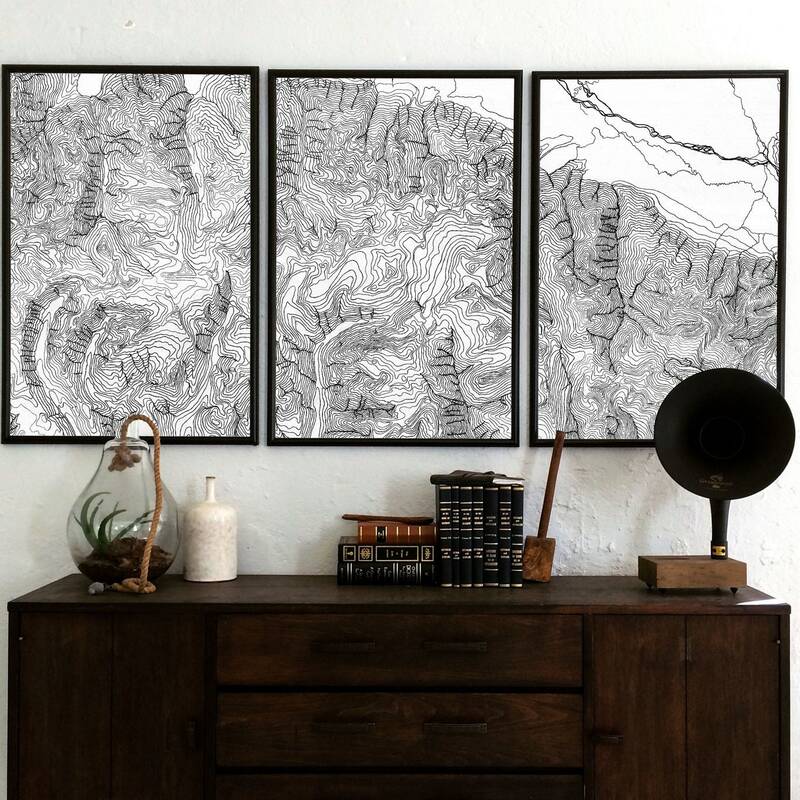 This Triptych of Grand Teton mountain range is definitely a statement piece of art that you'll never get tired of staring at. 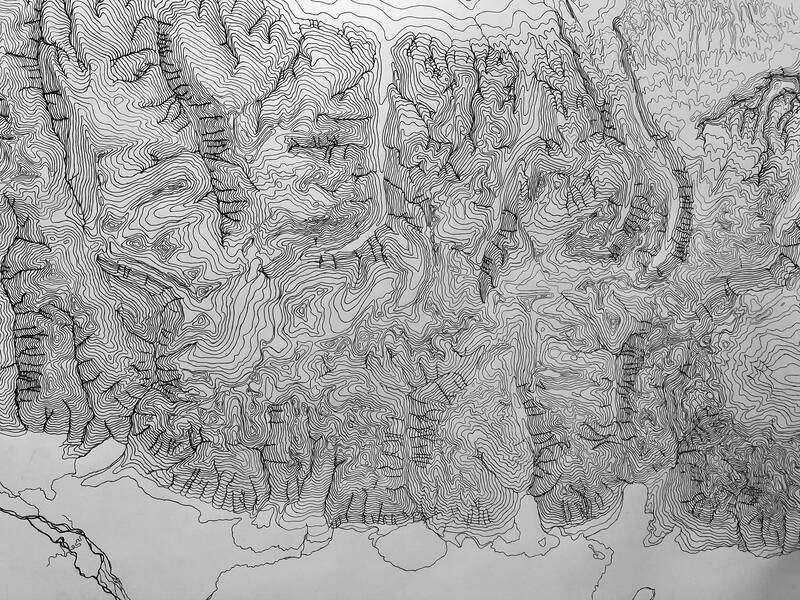 This large map depicts the Grand Teton Mountain Range in Wyoming and the areas around Jackson Hole. 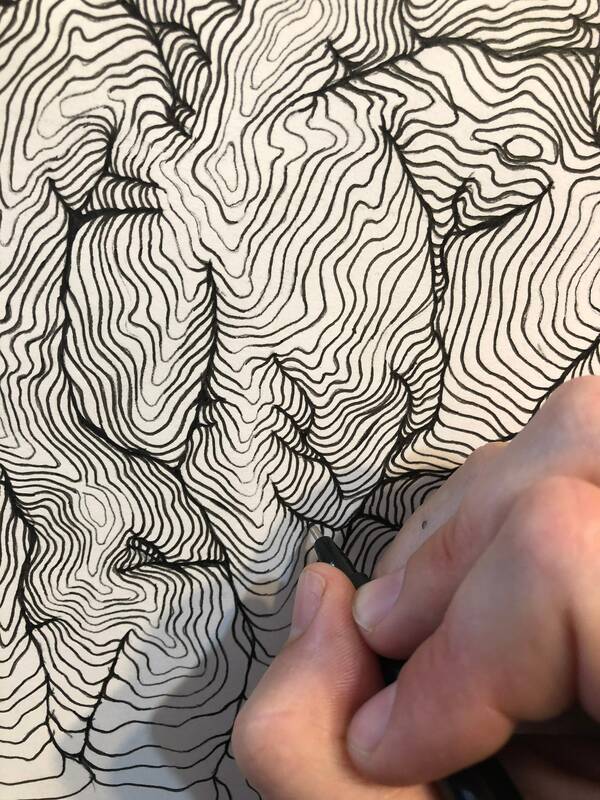 The map is a hand drawn interpretive topography of the landscape. 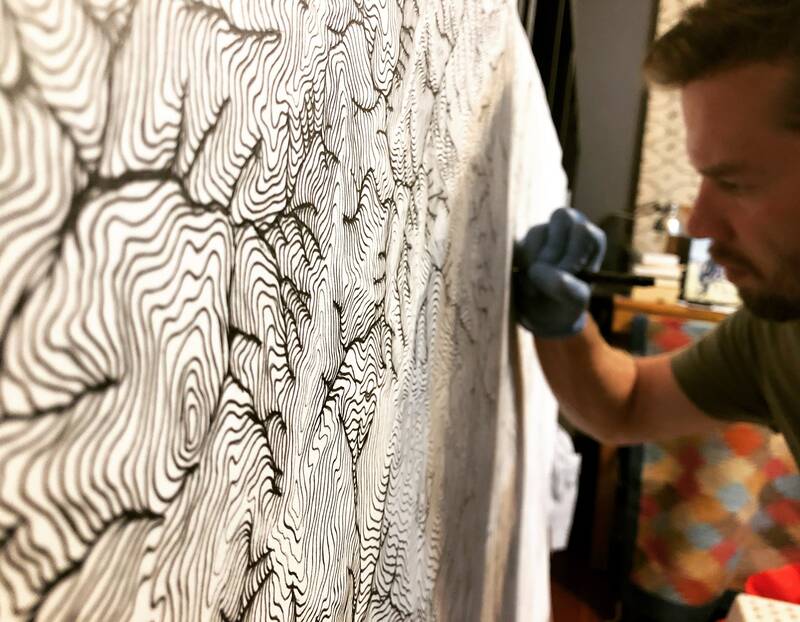 These interpretive maps allow me to accentuate the depths and variations in natural landscape. 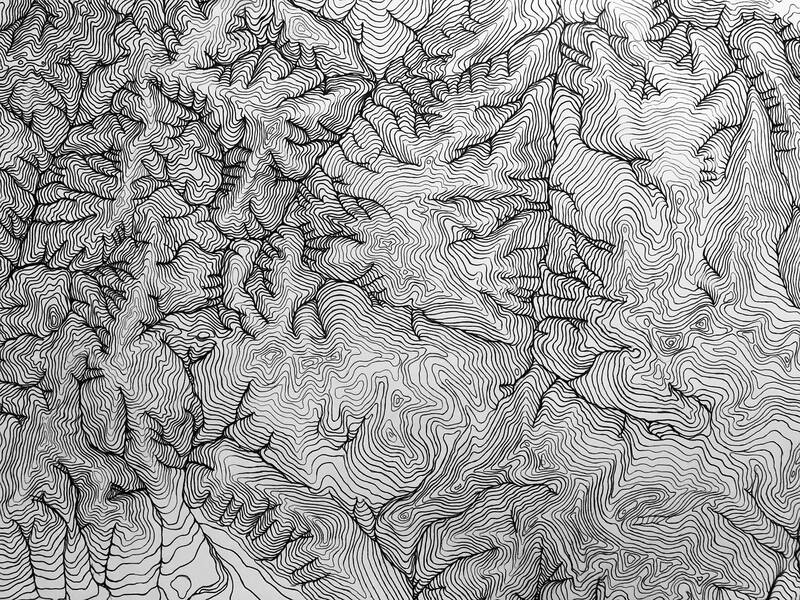 While the topography is abstracted, the layout of the mountains, rivers, and canyons are an accurate depiction of the area. 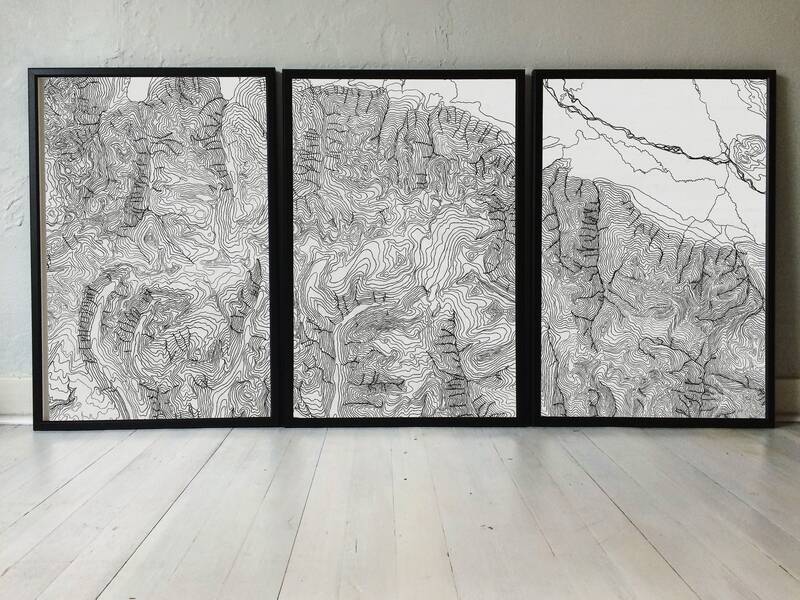 This map includes three separate 24x36 inch panels. Size: Set of three 24x36 images. Love these prints so much. You can tell lots of work went into drawing them. 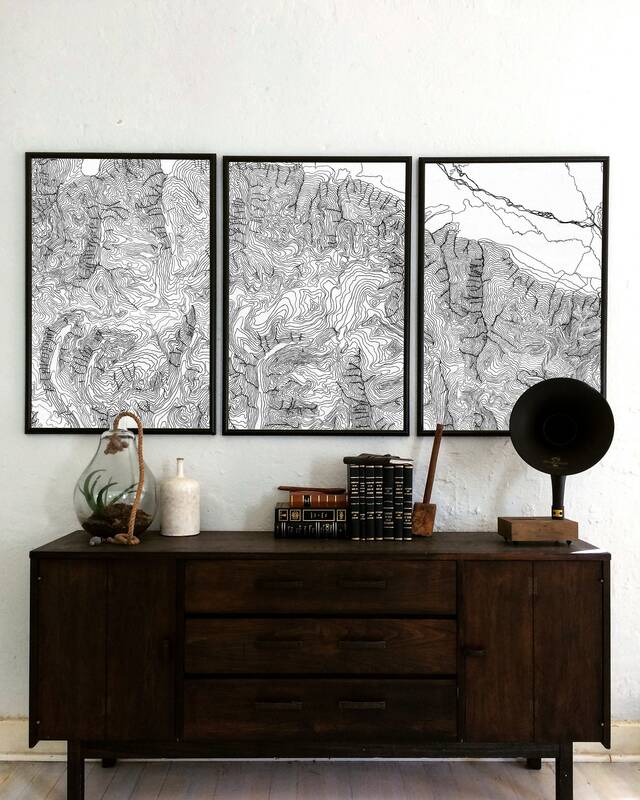 I had a large wall to fill in my bedroom and the Tetons are one of my favorite places so this was a no brainer! I got my frames at IKEA for $20 each. Temporary but inexpensive option for framing.